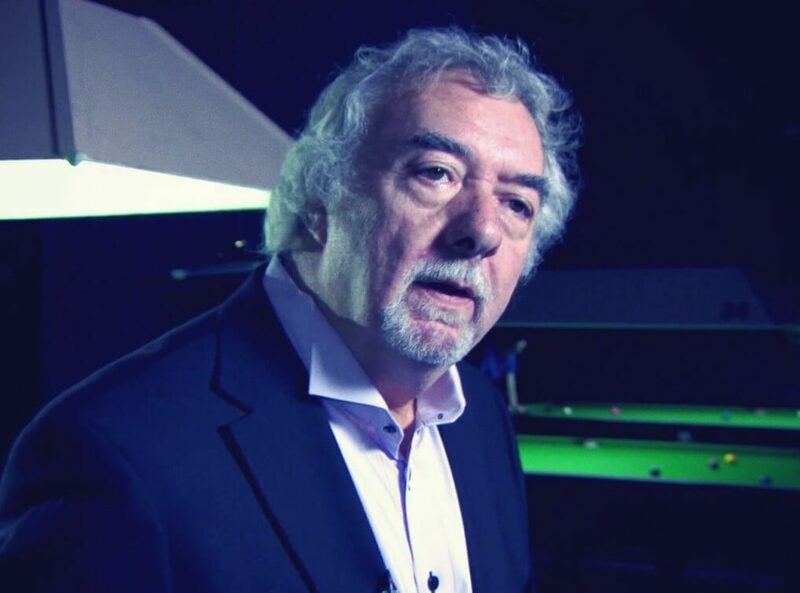 Former English professional Billiards player John Virgo is now a TV regular who adds real character to every project with which he is involved. John is arguably best known as a Billiards commentator and pundit and for his famous role as an exhibition player on Big Break with Jim Davidson. That ran from 1991 to 2002 and on each show, John participat-ed in the trick shots segment where a competitor would try to copy a complicated Billiards shot performed by Virgo. John’s playing career started a pro in 1976 and saw him score a highest break of 139. He had career winnings of almost £300, 000 and reached a highest ever ranking of tenth in the world in 1979/1980. In 1986 Virgo reached the semi finals of the British Open losing 9-4 to Willie Thorne and entered the qualifying stages of the Grand Prix and the UK Championship but failed to qualify for the main events, losing both times in round seven before returning in 1995.Virgo has also released a trick shot app that has a number of pros performing tricks and is called John Virgo’s Billiards Trick Shots. Virgo has also created some web based trick shot games for the Trick Shot Academy with pool table company Liberty Games and has also written an explosive book about Alex Higgins as well as one about trick shots. John Virgo is a trick shot master who can entertain all manner of audi-ences with his fine ball control and exhibitionist nature, from school age players to corpo-rate businessmen. As such should you be planning any event or ceremony, conference or after dinner event, then John Virgo makes a fine choice.